Oh my, this is absolutely adorable and I love your papers you have used, just perfect! Thank you for joining our 'Feeling Green' challenge at Double D!! 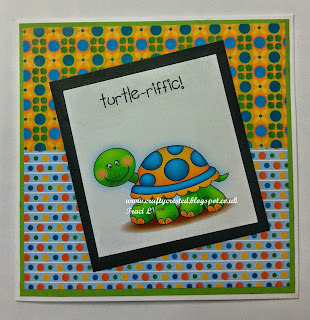 What a cute image and fun card creation! Thanks so much for joining in the fun at our Double D ‘Feeling GREEN’ Challenge! We hope you’ll come back often. 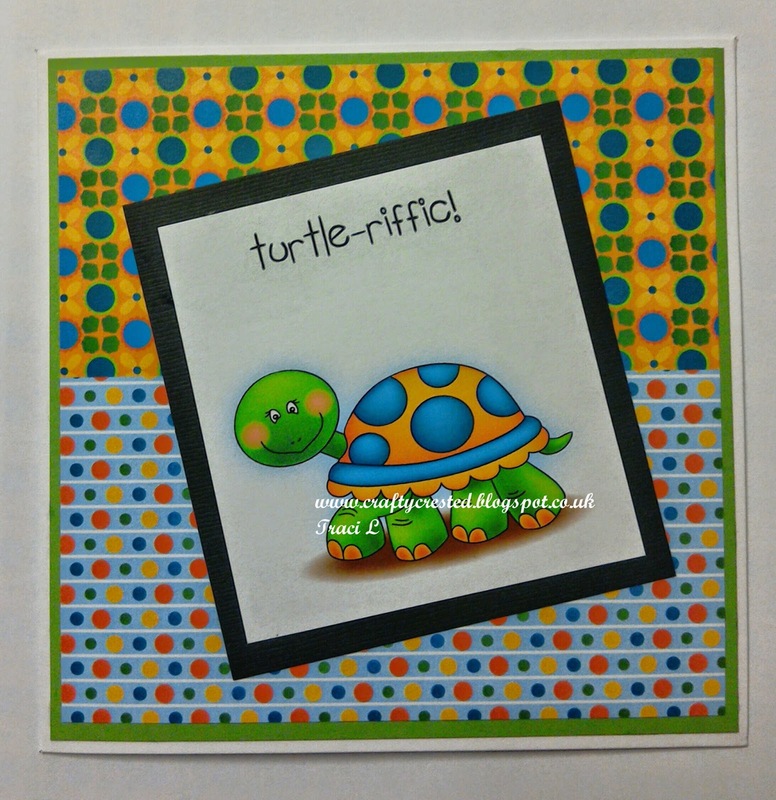 Adorable turtle on your fun card! Love the fun, vibrant colors on this. His little smile is so cute! Thank you for joining us at Crafty Gals Corner for our All About the Boys challenge. What a turtle-riffic car! Love the layout, love the sentiment. Thank you for joining in the Anything Goes challenge at Lil Patch of Crafty Friends.